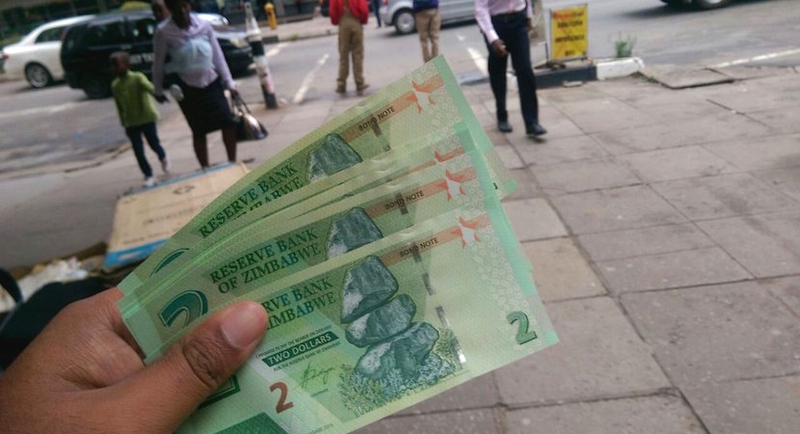 Cathy Buckle: Corruption and bond notes – the price of paradise in Africa? Happy Africa Day! It’s a beautiful day here in Zimbabwe; the sky is clear and blue, the early morning winter mist has lifted and in the garden sunbirds are sipping nectar from flowering aloes and mousebirds are sunbathing high up on tree branches. On a recent trip out of the country I was reminded how lucky we are to live in Africa: the continent where life is so hard but people so creative and so friendly; where children swim and splash in roadside puddles, smiling and waving as you pass by; where infrastructure crumbles but beaches are golden and oceans warm; where officials are fat and corrupt but ordinary people go out of their way to help you, to listen to your story and tell you theirs; where the flora and fauna is more beautiful and exotic than your wildest imaginings. Why, amidst such beauty and splendour, is governance in such a mess, poverty and suffering so widespread? Is this the price of paradise? This Africa Day in Zimbabwe the price of paradise is all too evident. The three commonest sights in the country graphically expose the real truth of our homeland. The first is the bank queues: lines of hundreds and thousands of people every day; ordinary people trying to withdraw their own money from their own bank accounts. People stand, sit and sleep in the queues; it’s been like this for almost a year, ever since an entire economy’s worth of US dollar bank notes disappeared from circulation, simply slipped away in the night without reason or explanation. Now, if we get to the front of the queue, we are lucky if we are able to withdraw as much as 50 dollars. We are even luckier if it’s actually in US dollars and if it is the notes are filthy, sticky, ragged 5 and 10 US dollar notes. 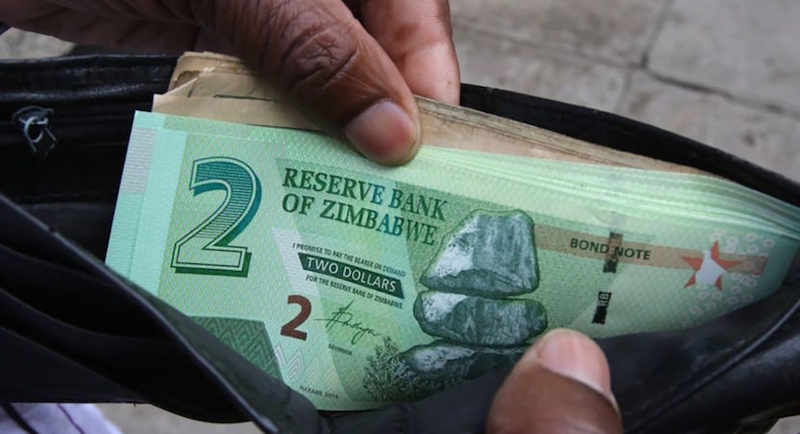 Bond notes, Zimbabwe’s pseudo currency not recognised or exchangeable outside our borders, have only ever been released in 5 and 10 dollar denominations; they too are in extremely short supply. Most bank transactions these days are in Bond coins: stand in line for 3 hours and be allowed to withdraw 50 dollars of your own money all in coins. Handbags and pockets get heavier and heavier and we all wonder if there is any control on the minting of the sudden flood of Bond coins. At a recent Zanu PF rally on a seized, resettled farm outside my home town, a government official named Nyoka said that expelled white farmers were to blame for the shortage of money in the banks. Too absurd to warrant comment! Mr Nyoka didn’t explain, however, why over 200 resettled families had been evicted by armed riot police from Arnold Farm in Mazowe which is apparently linked to the Mugabe family. Dumped on the roadside 40 kilometres away these resettled people are the latest victims in Zimbabwe’s 17 year land resettlement debacle. Human Rights Watch said houses had been knocked down by Police on Arnold Farm, crops and livestock lost and people beaten, including some men beaten on the soles of their feet. The second commonest sight this Africa Day is of thousands of people sitting on pavements, on roadsides and under trees selling whatever they can to make a few dollars. This is the tragedy of a country where 90% of people are unemployed. You can buy anything from clothes and shoes to electronic equipment, groceries, perishables, books, furniture and more. All day, every day men and women sit on the ground trying to earn a few dollars to pay rent, school fees and support their families. While everyone can see the legions of unemployed people in every city, town and suburb, our Vice President said recently that the Zanu PF government had created over 2.2 million jobs in the last four years, surpassing their 2013 election promise. 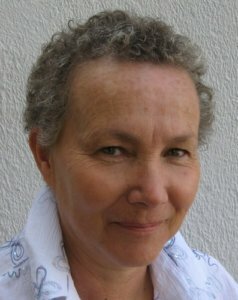 Read also: Cathy Buckle: Zim’s contradictory Land programme. Nothing fair or Impartial. Mr Mnangagwa said: “We have surpassed that. Look at the jobs created across the industries and those created through command agriculture, they are more than two million jobs and we will be creating more”. The Vice President didn’t explain why people were still having to sell bananas one at a time on the street if 2.2 million jobs had been created. The third most common sight in Zimbabwe this Africa Day is police road blocks. You can expect to encounter a police roadblock at least once every ten kilometers on the open highways. Like vultures waiting to descend on a carcass, men and women in police uniform wait on the roadside. They saunter out into the highway, no bollards, no Police sign, no drums. Contrary to recent reports that spikes are no longer in use, many of the police hold, lean on or rest a foot on rusty, home-made racks of iron spikes used to puncture tyres should you fail to stop. Often you see the traffic police counting thick wads of banknotes while they wait to pounce on the next vehicle. Soon they’ll be needing wheelbarrows to carry all the Bond coins they collect as bank notes get ever harder to find. 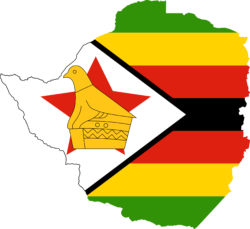 With elections now barely a year away, Zimbabwe soon has the chance to change the governance and future of our Paradise.